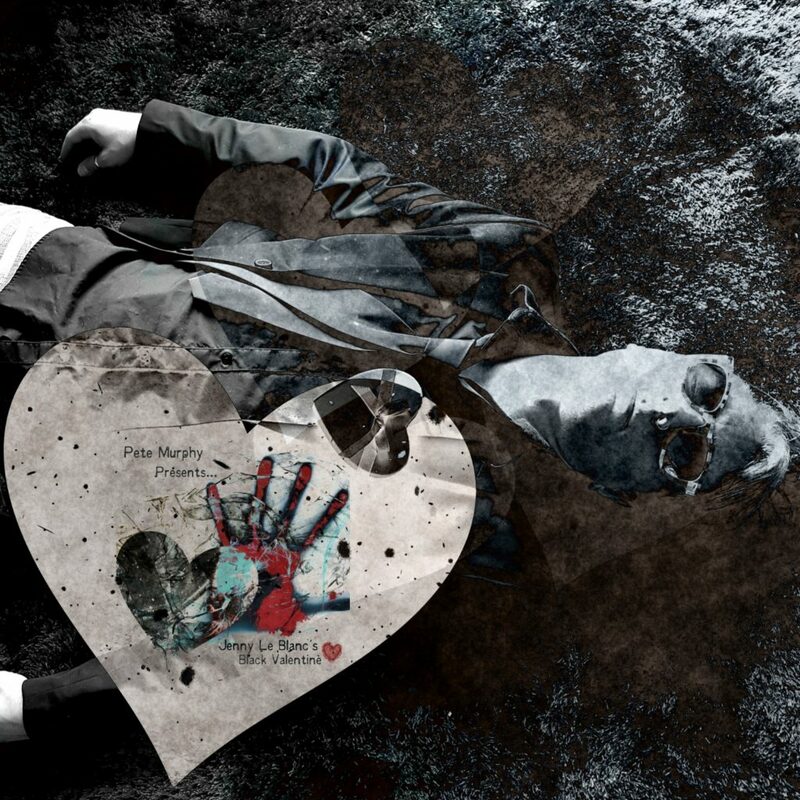 Pete Murphy’s latest album, entitled Jenny Le Blanc’s Black Valentine, is a conceptually intriguing project that takes you on a complex and detailed journey through a series of ideas – quite literally running from In to Out. It’s difficult not to at-least partially compare this with Pete’s last album Thelonious Punk, his voice is an instant trigger for one thing, as is the manner in which he builds his melodies; these long tailed, unpredictable rhymes and threads of notes. On the whole though, I felt as if this was something completely unlike his previous releases. The album’s title track is a strong starting point and a fine example of the uniquely creative nature of the music and the expression. As something artistic, based on something else artistic that supposedly never existed in our known reality, the music is refreshingly interesting and endlessly enjoyable to listen to. This opening, title track (excluding the ambient In) is a beauty. As the album progresses, the experimental nature of the musicianship manifests itself in the form of rock and electronica intertwined. Legalize is a simple hit that storms out around you with grit and passion. It works effectively in its own right as a classic rock and roll single. If you’re one of the many who connect with the concept, the song will fill you with the right kind of get up and go to more outwardly show your support. 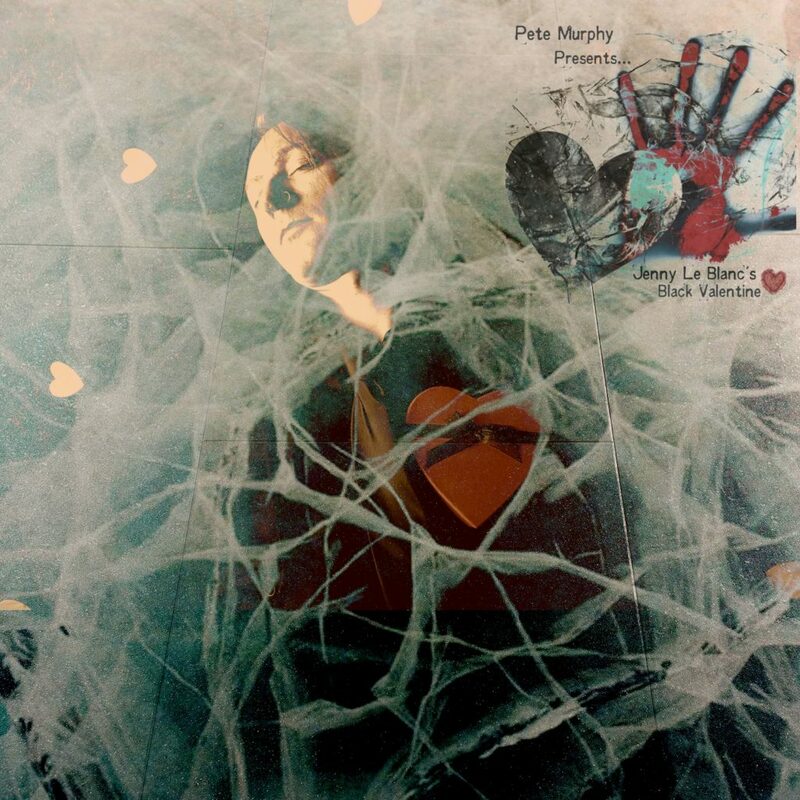 Elsewhere on the project, the sheer artistry of Pete Murphy exceeds all expectations – and we know him to be skillful, and passionate, and interesting. This album fights even further in favour of all of this. To consider that for years Murphy lacked the confidence to share his gift is a hard pill to swallow, but perhaps it was for the best. The result is that now, at this point, he presents his ideas, his superb and fascinating songwriting, in a crisp and musically complex, endlessly satisfying manner – something perhaps experience and drive have been building up towards over time. Lost Keys feels like a classic Pete Murphy hit, his voice screams out among the soundscape and draws you into the very centre of the story-line. Cleverly, Delta State of Mind follows and replaces the high energy and angst with an other-worldly, somewhat retro ambiance and a compelling monologue from the supposed Jenny Le Blanc. Zach Phillips’ Identical Twin veers off in a smooth and mellow manner towards a different dream, keeping you intrigued and offering a gentle acoustic groove to mix things up. Much more than just a song, as can be said of many of the building blocks that make up this album, this piece is like a short play – thoughtfully crafted, structured, and designed in a manner that considers the audience’s presence at every single step – in the way that a director might – something many artists fail to do. Beginning with The Great Repression, the latter half of the album sees your focus fall more intently on the lyrics. This song is soulful and reflective of inner issues that relate to many, rather than purely to the central character. What Kind Of Business is as creatively colourful as any of the earlier moments, rhythmically tense and musically brilliant in my opinion, but still the space here keeps your mind on the words – the poetry, the concept, the story-line. An earlier song title reappears and strengthens that conceptual thread. Psychic Connection (Wake Up, Jenny) is equally revealing in terms of the tale that unfolds around you. Pete exercises a soft-rock or indie-pop angle here, though the music is no less experimental. There’s colour and vibrancy and a slight wash of jazz, but there’s also a lot that seeks to confuse or remind you of the bizarre nature of the situation – the set-up underlines the dreaming concept really well. Time To Rise follows and brings back Jenny’s voice among a haunting, disjointed backdrop. Then Pete injects a level of seductive softness and simple melody with Existentialist Therapist – expect your mind to relevantly wander to unknown territories here. Jenny’s voice and ideas are incredibly intriguing; another box ticked in sealing the deal as to the unmissable originality of this album. Man’s Obsession With Fire bursts into life with a Scissor Sisters-like upbeat acoustic guitar rhythm. Murphy’s voice naturally pours every bit of soul and emotion into his performance. The song works beautifully as its own bit of energy. 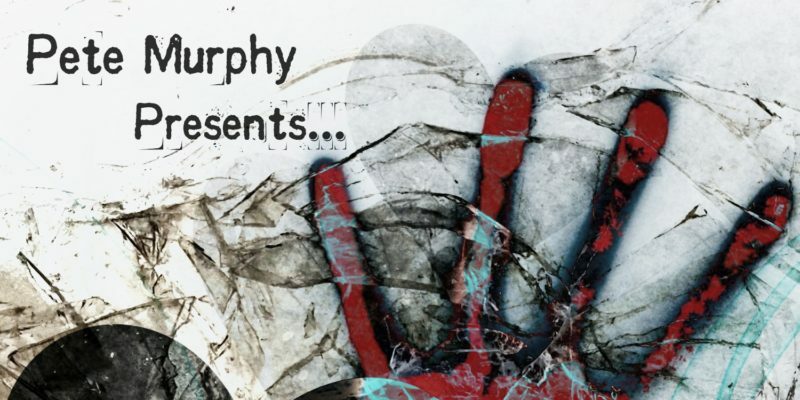 The End Of History and Out refuse to let that upbeat bounce shine too brightly for you though, these final moments surround you – initially with those all-important ideas, and later with the absolute thickness and weight of Murphy’s musicality. It’s a striking way to finish, the intensity builds until the very last breath. And then you feel as if far too much has happened to quickly recall any of the most interesting moments. So, naturally, you listen back through. Download it. Add it to your Spotify playlist. Consider the things he considers and simultaneously keep yourself embraced and entertained. Nobody makes music quite like Pete Murphy does. Download the album via Bandcamp. 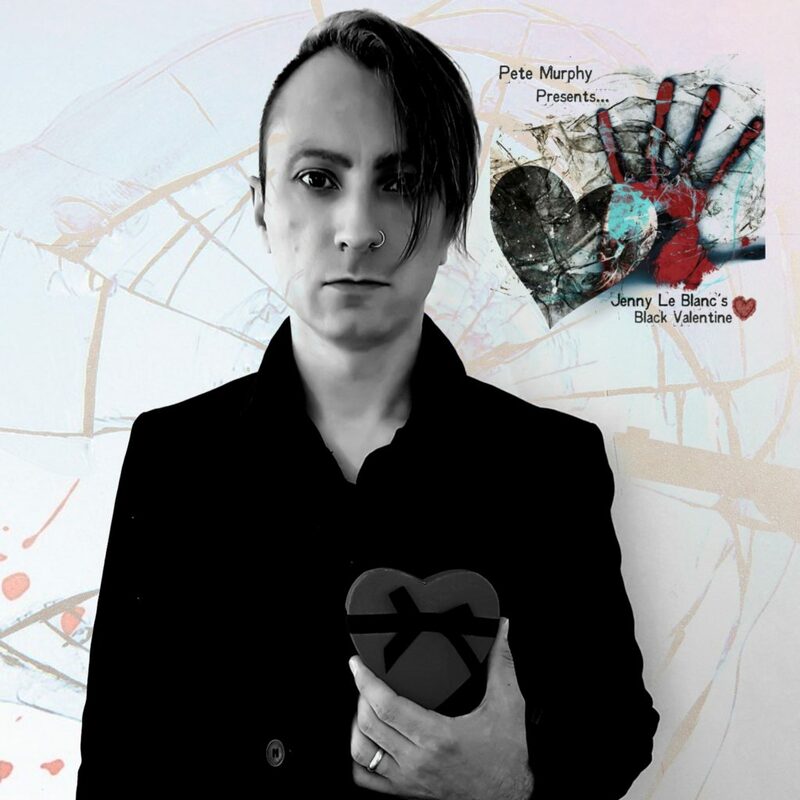 Find & follow Pete Murphy on Facebook & Twitter. Visit his Website for more information.